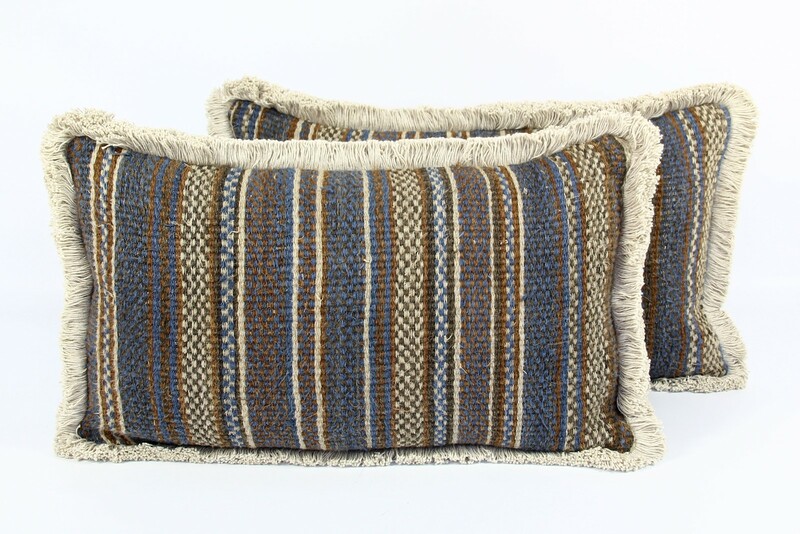 This pair of cushions has been made from an early hemp wedding blanket from the Zhuang Chinese minority group. 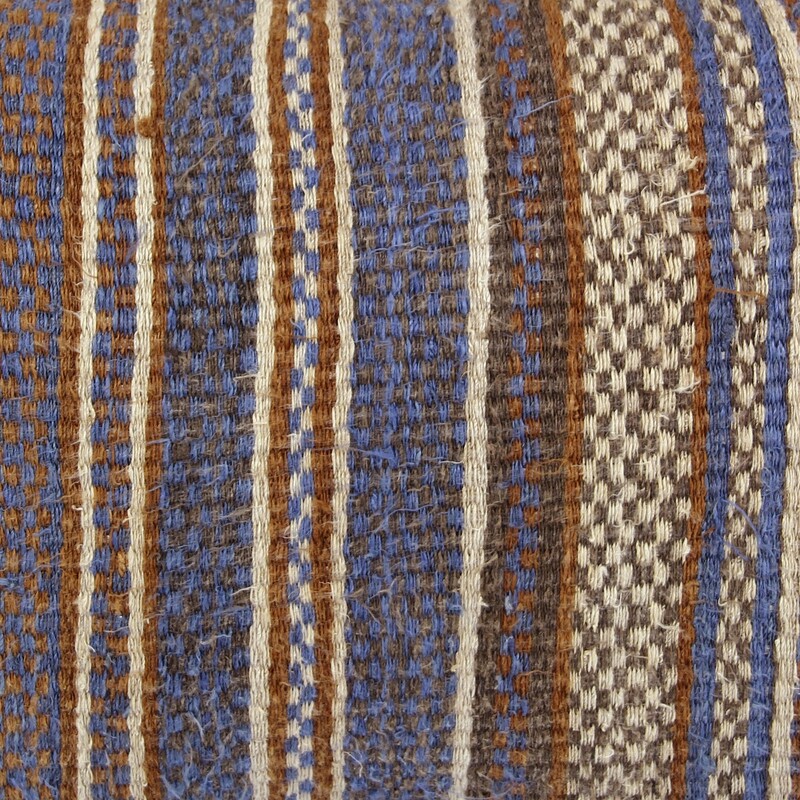 The textile formed the centre panel of the blanket, which was surrounded by a fireweed border. 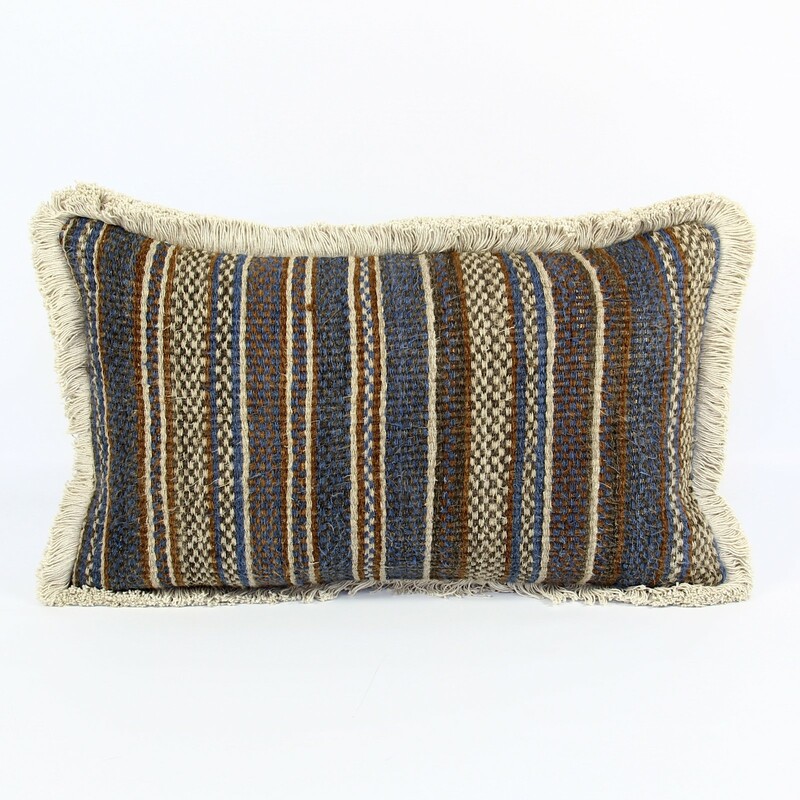 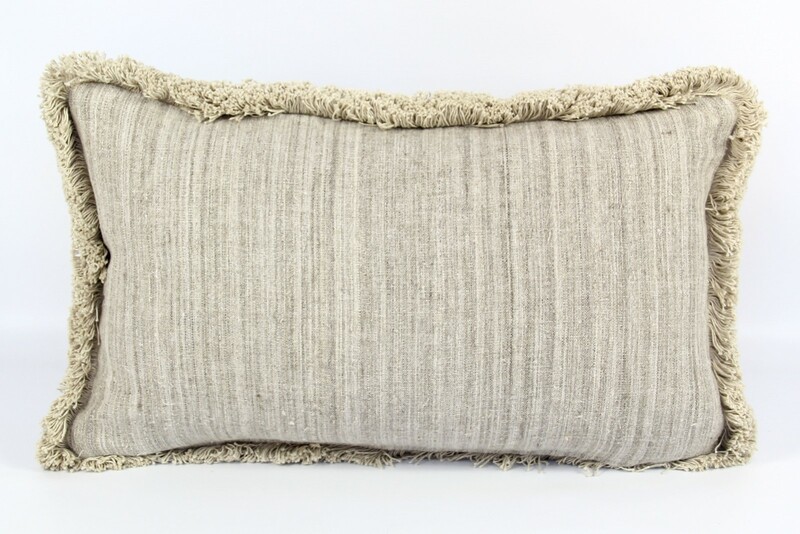 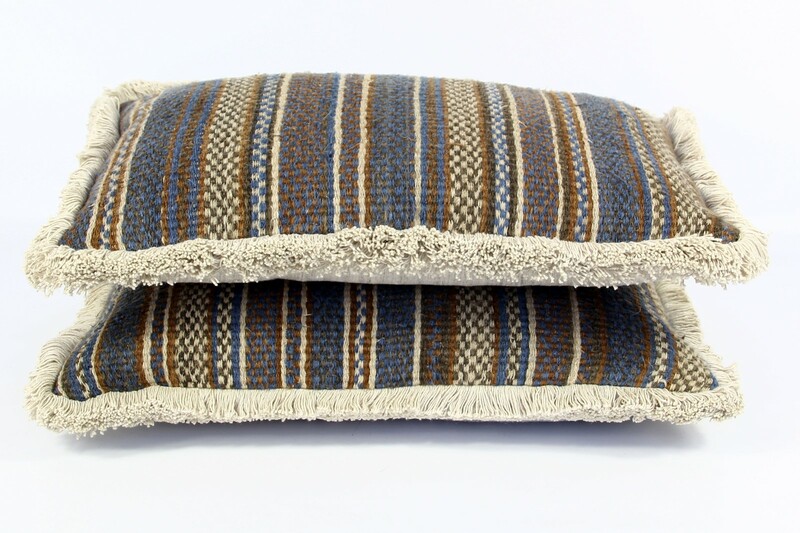 The cushions are backed with a stripey grey natural hemp and edged with a thick natural cotton fringe. 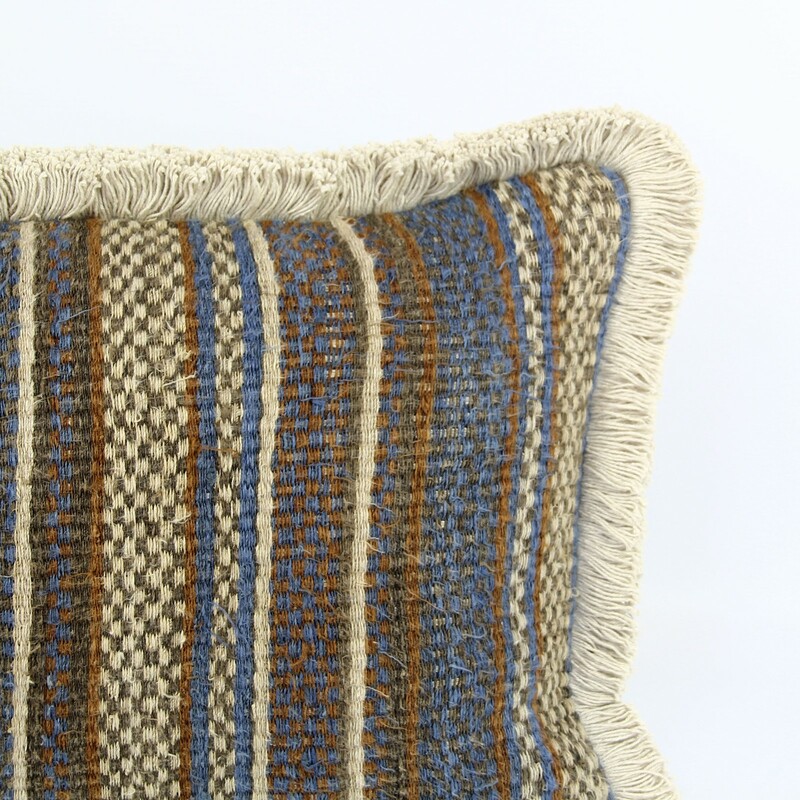 There are zips fasteners and feather pads.